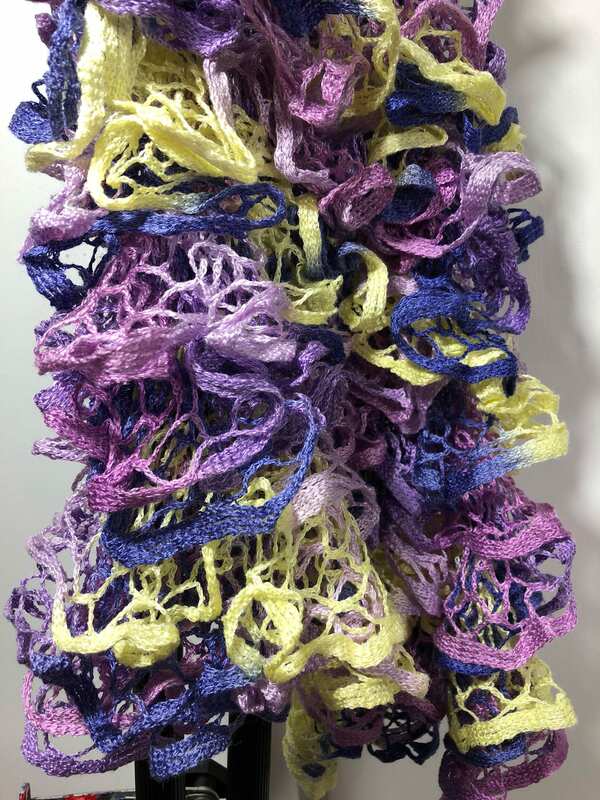 Approximately 45-58 inches long, my mother handknits this ruffled lace scarf of soft, high-quality European yarn in our home in South of France. She only wants the cost of the yarn and shipping so she can do more to keep herself busy. Perfect for all seasons, the scarf is light and airy, ideal for casual wear as well as evening wear. Very feminine in shades of colors, it can be worn draped straight from the neck, or folded lightly around the neck as shown. Very pretty birthday gift or a gift for yourself. 100% acrylic.